Enter into the Vitaminwater Fire and Ice Social Sweepstakes now through May 05, 2019 for your chance to win a grand prize of trip for two people to Iceland for the Secret Solstice Festival, plus weekly prizes. 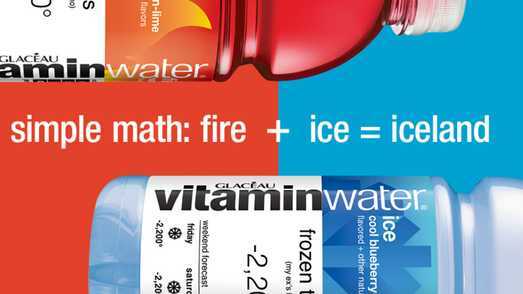 How To Enter: Go to this link:www.vitaminwater.com/fireice during the sweepstakes period and follow the online instructions to register by entering all information requested on the registration form and once you filled out the entry form. Prize: There will be one grand prize winner in this Sweepstakes who could receive a flyaway trip to Iceland for the Secret Solstice Festival for two people. Trip Includes: Round-trip air transportation, hotel accommodations, $1,000 spending money. Total ARV of grand prize is:$12,500.!! When To Enter: This sweepstakes entry begins on March 11, 2019 at 1:00 p.m. (“ET”), and all entries must be received by 11:59 p.m. ET on May 05, 2019. Who’s Sponsor: The Sponsor of this Sweepstakes is Coca-Cola Company, One Coca-Cola Plaza, Atlanta, GA 30313 and HelloWorld, Inc.